Left to right: Dave Thompson, Wilma Ferguson, Henry Ferguson, Charlie Moore. Merrill & Ring Dump and Brow, 1927. 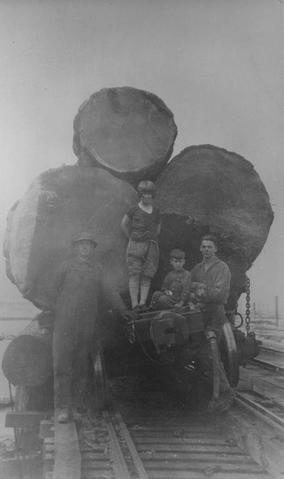 See number 5 in the Ed Alridge Photograph Collection for another view of a load of logs.